Bunnies are adorable. In fact, my kids ask for a pet bunny almost daily. I am allergic to basically every pet under the sun, so instead we opt for bunny crafts and activities! Today I'm going to share 9 favorite bunny crafts and activities for toddlers and preschoolers that we've enjoyed! Bunny crafts and activities can be done year round but we especially love to do them around March and April when Spring starts to arrive! 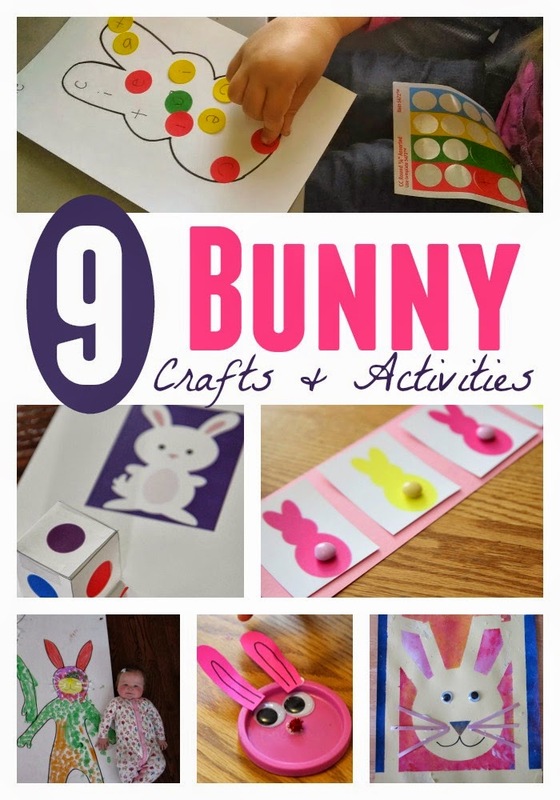 Below you'll find 9 favorite bunny crafts and activities. Click on each activity title to be sent to the full activity tutorial. Hopefully this post can give you lots of fun things to do this month as we get ready for Easter! 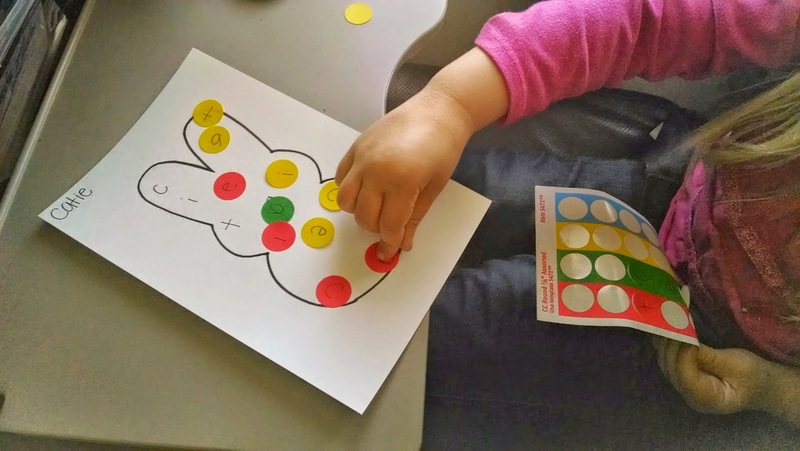 Although graphing is a bit more complex, simple color matching is easy enough for toddlers and preschoolers! We also love to snack on a few bunny marshmallows while we match colors. This movement game includes a free printable and is such a neat way to work on colors with kids! We took this on a long airplane ride with my kiddos last year. It was a hit! 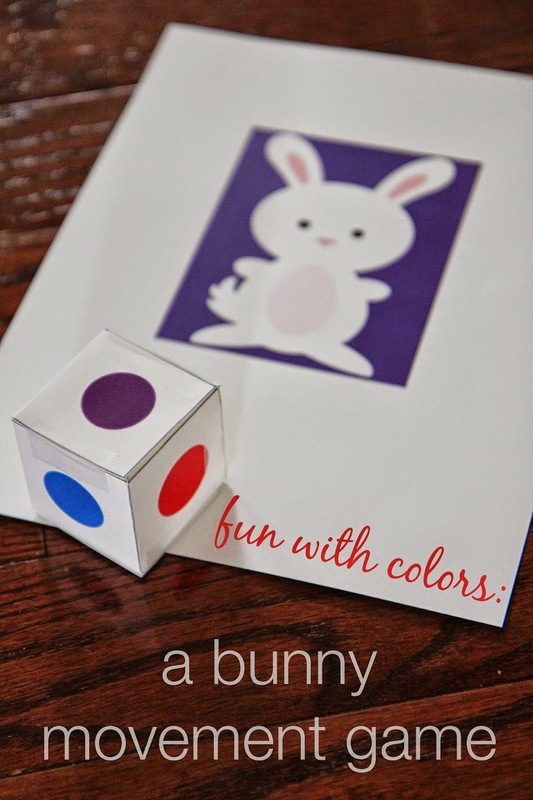 For younger kiddos just match colors or shapes instead of alphabet letters and names. Make sure to add in some M&M sampling time to this activity. It is a festive toy and an instrument. It doesn't get better than that. This project works better as a mom & tot or mom & preschooler team project. Mom might need to do the tape while the kids paint. We love to decorate for holidays. Here is a fun way to get your child involved in the decorating! Do you save lids like me? Use them up and make some lid animals! They are adorable. This was hysterical. Tracing kid's bodies always ends up being fun (and funny). Do you have another favorite bunny crafts or activities? We've been pinning all of our favorite Easter activities on our Easter pinterest board. Go check it out if you need more ideas. 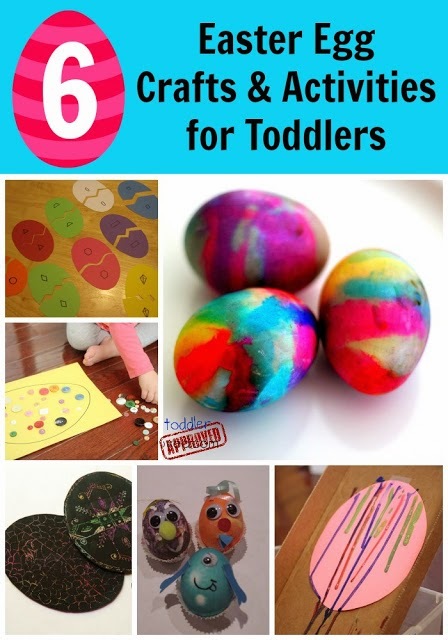 You can also find lots of our favorite Egg activities HERE.